Just as children function at different levels in algebra (for example), they also function at different levels of discipline. It is possible to set up a consistent system for classroom discipline that will be appropriate for children functioning at all levels - and at the same time - encourage them to work their way up to higher levels. Although the progression from level to level is the same, the rate varies from student to student. This is why teachers need to be prepared to address discipline in their classrooms at different levels. Their children are functioning at different levels on the road to self-discipline. Children functioning at level 1 are typically unruly (i.e., they often refuse to follow directions). They are defiant and require a tremendous amount of attention. They have few rules of their own, but out of fear of reprisal, may follow the rules of adults. Most youngsters progress beyond this level by age 5, but a few older children still function at this level. This is the power level. What makes it work is the imbalance of power between the youngster and the teacher. When the child is young, the imbalance of power between him and his mother or father is significant. If the youngster is never taught a higher level, the imbalance of power diminishes as he grows up. 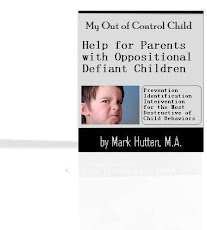 The parent then states that she can no longer control her youngster. He will not mind. He challenges authority constantly. Fortunately, very few of the children in the classrooms function at this level. Those who do, follow rules as long as the imbalance of power tilts against them. Assertive educators with a constant eye on these children can keep them in line. Turn your back on them for one minute, and they are out of control. If these children want something, they usually just take it. They show very little concern for the feelings of others. They seek out extensions of power. Pencils, scissors, and rulers become weapons in their hands. Children functioning at level 2 are a little easier to handle. They also represent only a small percent of the youngsters. They can be classified as having an individualistic morality. They can be very self-centered. This is the reward and consequence level. These children behave either because they (a) will receive some sort of reward, or (b) don’t like what happens when they don’t behave. Most kids are moving beyond this level by the time they are 9-years-old. Older children who still function at this level do best in classrooms with assertive educators. There is very little sense of self-discipline at this level. Like the power level kids, these youngsters need constant supervision. They may behave quite well in the classroom, and then be out of control in the hallway. Children functioning at level 3 make up most of the youngsters in middle and junior high schools. These students have started to develop a sense of discipline. They behave because they are asked to. This is the mutual interpersonal level. They care what others think about them, and they want you to like them. These kids need gentle reminders. When the teacher asks them to settle down – they do. Assertive discipline works with these children because they understand it, but they rarely need such a heavy handed approach to classroom discipline. Quite often you find children in the classroom that are in transition from level 2 to level 3. You may know of a child that gets into lots of trouble in other classrooms – but not in yours. This youngster is just learning to trust others and build the interpersonal relationships that are more common with his peers. Teachers need to let this particular student know that his good behavior is important to you not only in your class, but in others as well. Nurture this youngster, and you will see quick progress. Be unnecessarily assertive, and he will slip back to level 2. Children functioning at level 4 rarely get into trouble. They have a sense of right and wrong. Although many middle school and junior high school children will occasionally function at this level, only a few consistently do. These are the youngsters teachers enjoy working with. The teacher can leave these students alone with a project and come back 30 minutes later and find them still on task. They behave because, in their minds, it is the right thing to do. Children who function at level 4 do not appreciate assertive discipline. They are bothered by the fact that other children force educators to use so much class time dealing with discipline problems. Although most children don’t usually operate at this level, they are near enough to it that they understand it. Cooperative learning activities encourage children to function at this level. Teachers who set-up several groups within the class give children a chance to practice working at this level (while the teacher waits close by, ready to step in if needed). When you identify the level at which a child is functioning, you can then help that youngster work to the next level. It is a mistake to try and skip levels. Insisting that a level 1 child “get his act together” (similar to a level 4 child) is not a reasonable expectation. Instead, set your goal on level 2. You may be pleasantly surprised when you start to notice improvement. Any youngster is capable of regressing every now and then. When you really get to know your children and are used to them functioning at a particular level, it is important to look for a reason when one of your children regresses. Problems with family members, friends, alcohol, or drugs may be behind a shift in behavior. It simply might be tiredness or the onset of illness. Whatever the cause, it is worth taking the time to talk with the child and see what’s going on. Learning self-discipline is just like learning anything else. Your children aren’t always going to get it right the first time. So, teachers need to be patient with the process. Help them some more, and when you think they are ready, give it another try.